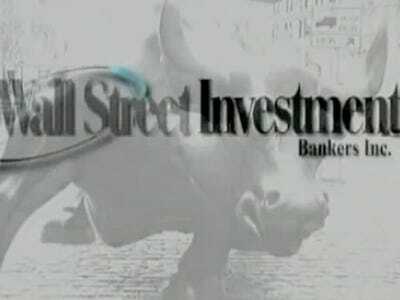 CNBC, FOX, Bloomberg Finally Stop Airing Ad For Scammy "Wall Street Investment Bankers Inc."
To confirm, the ads ran on CNBC, Fox Business and Bloomberg. They ran for one week only about 3-4 weeks ago. They are off the air and we do not anticipate that they will run again. The company’s ad describes what sounds like a “straw man” mortgage fraud. In response to our reporting, the company would not comment on the record, but used their website to post an unconvincing rebuttal. We asked TWC if the ads were pulled because of the nature of the business, or simply because the amount of airtime Wall Street Investment Bankers Inc. purchased ran out. “We generally don’t discuss the terms of any such agreements,” says Huff. Regardless, the business may have been squashed before it began in earnest. The New York Attorney General’s office was unable to comment about whether or not there was an investigation or any complaints, but Flora Beal, Communications Director for the Florida Office of Financial Regulation (the firm was incorporated in Miami in January 2010) says the agency’s investigative unit didn’t pursue the case because there have been no victim complaints — and no evidence of actually doing business in Florida. Meanwhile, we’re still waiting to hear how to make between $20,000 and $200,000 a month with no money down.